In December the unit places a group order for uniform shirts with the expectation that new candidates will be sworn in as DSW's at Tech Skills weekend. We're required to wear full uniforms at that point. Please use the PayPal button below the order form to make your payment. Thanks! 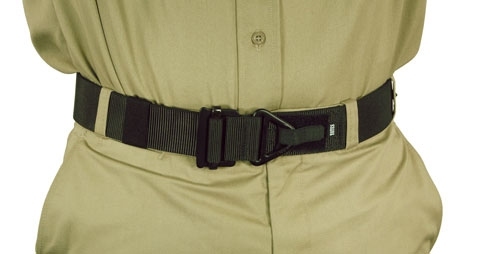 This uniform belt is not required for daily use, but is recommended. It is required for technical use, unless you are carrying and using a regular climbing harness. This fits waists 24"- 42". If you'd like to order a belt use the PayPal button below. Price is $29.